Disclosure: This post was sponsored by Coca-Cola and ShopStyle Collective, all opinions are my own. Big, costly gifts for all aren’t in the budget, but a simple heartfelt note or handmade gift like a plate of cookies, homemade “gift in a jar” or maybe even a knitted scarf is always appreciated. This year, we did a combination of store bought and handmade. 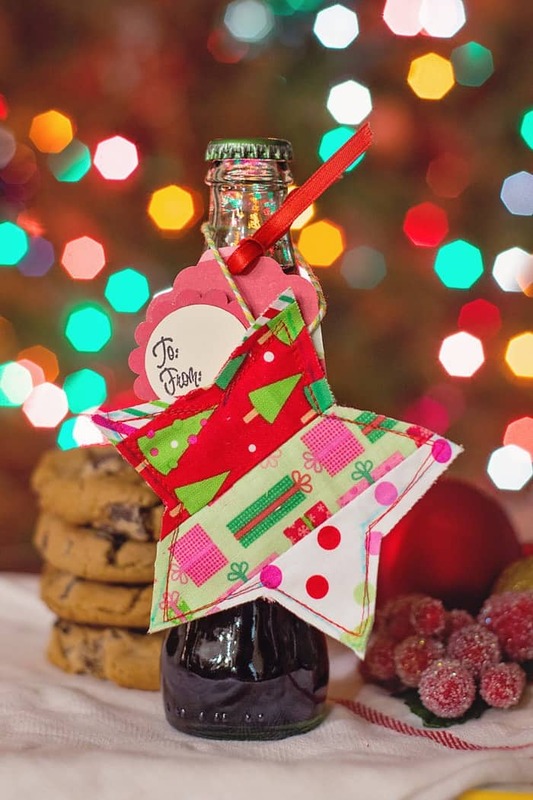 The kids and I put together simple gifts using the special holiday packaging of the Coca-Cola Life bottles and handmade fabric ornaments. They really turned out cute and these little coke bottles with the handmade ornaments were easy to carry and perfect for my son to pass out to all his middle school teachers. 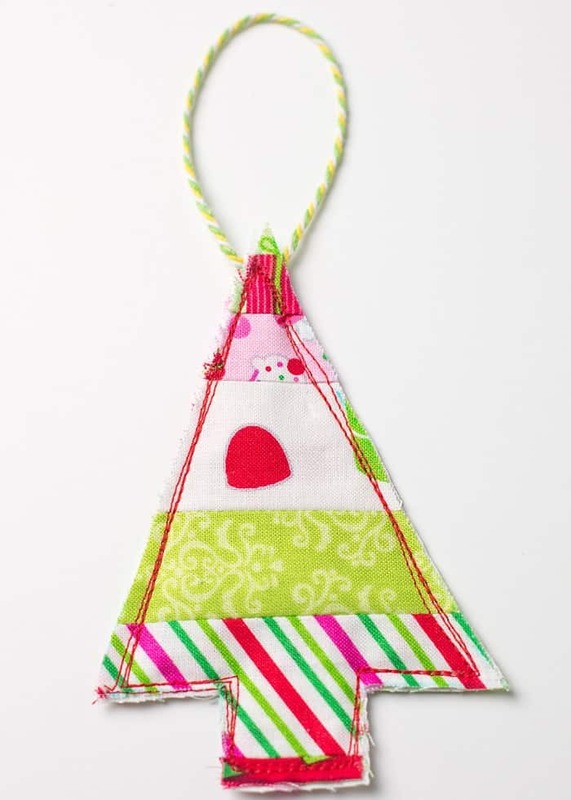 I love that these little toppers double as ornaments and gift tags! 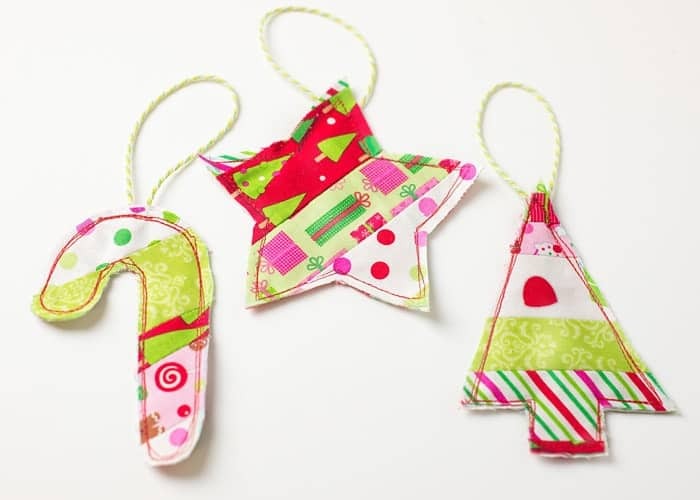 Are you ready to make these quick fabric ornaments for your tree or to top your holiday gifts? 1. 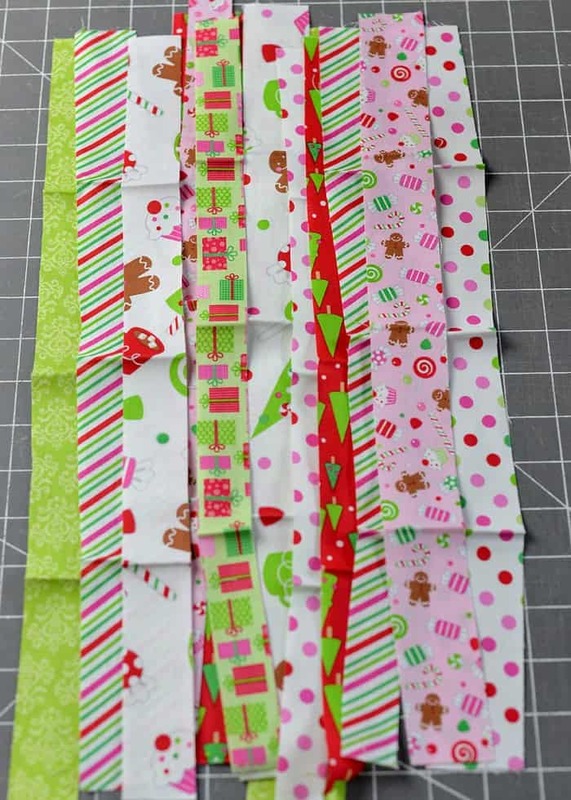 Cut several strips of fabric into strips. Vary the width anywhere from 1 to 2 inches wide. 4. Line fabric up in this order, you’ll have three layers: fabric strips right side down, batting, fabric strips right side up. 5. 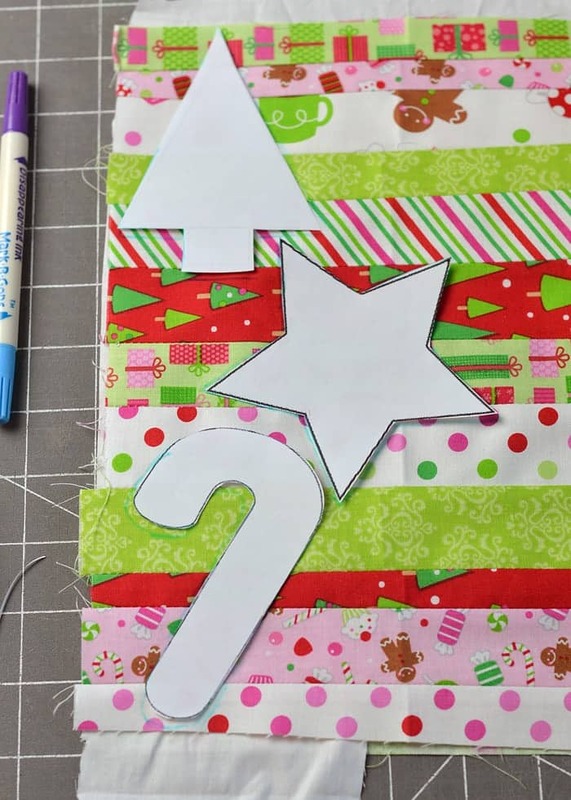 Trace around template with a disappearing ink fabric marker. 6. 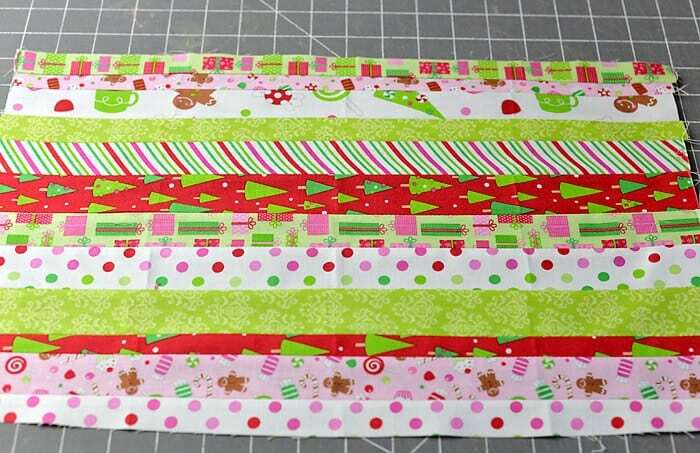 Cut a piece of string and slip in between fabric layers. Pin fabrics together and cut around the traced outline. 7. Stitch around the edge of the ornament. 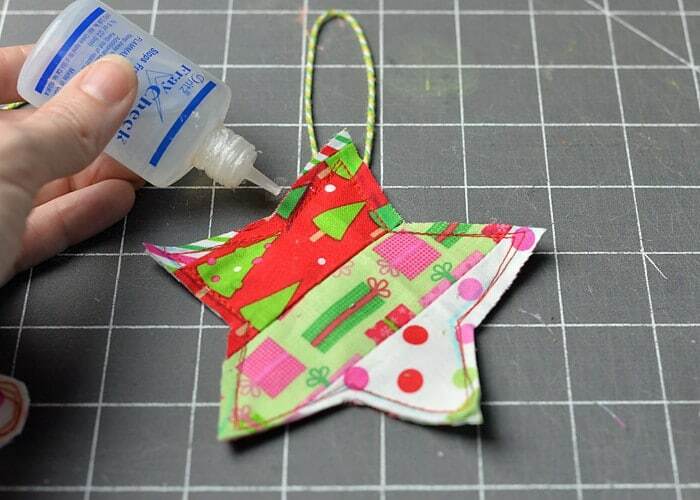 Optional: If you do not want your ornaments to fray, you can seal the edges with a bit of fray check. You are done! How cute is that? What’s your favorite way to show your thanks to holiday heroes? Such a thoughtful gift and the homemade ornaments are too cute! I love the whimsy of all the different fabric designs. Very cute! The perfect homemade touch! Such a cute idea! I bet my girls would enjoy making some to give to friends. What a super cute idea! And it’s easy! 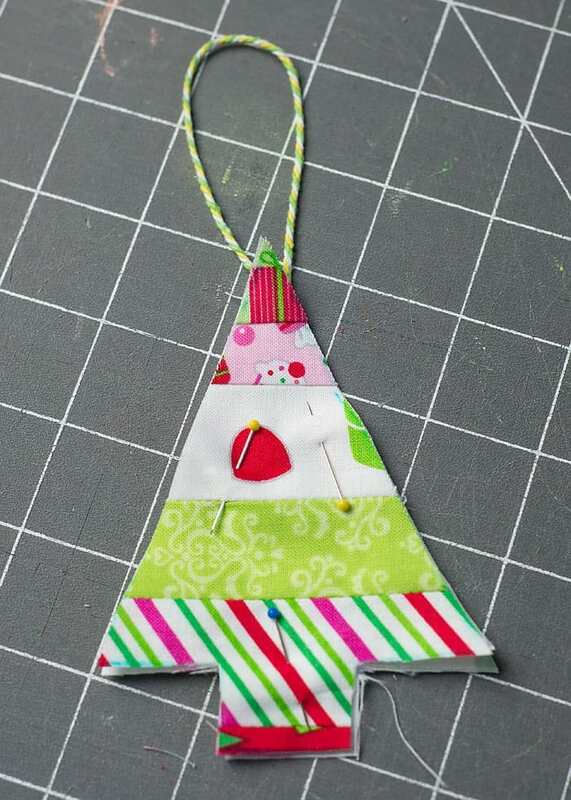 I know I have several Christmas fabric pieces left over from projects and this would be a great way to use them!. These are so cute! I’ve never seen anything like this before. Definitely pinning this. This is such a cute idea! 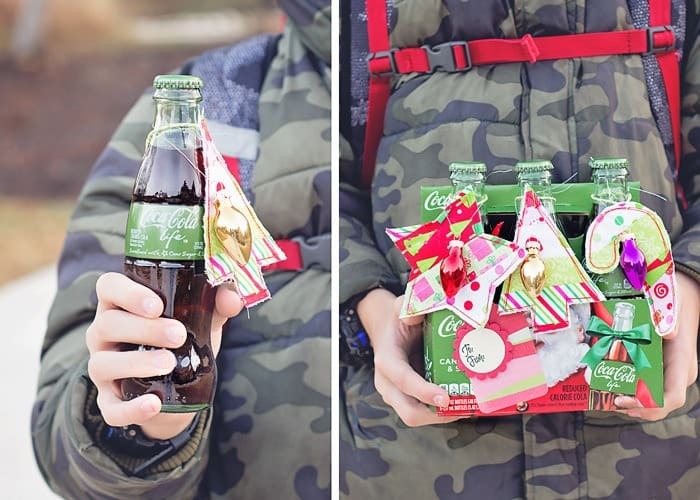 I’ve been wanting to try Coke Life, and the ornaments are such a great touch to make it a thoughtful gift! These are just too adorable! I love them! These are so cute but I don’t see the step where you actually say to stitch them. Well that’s the worst! 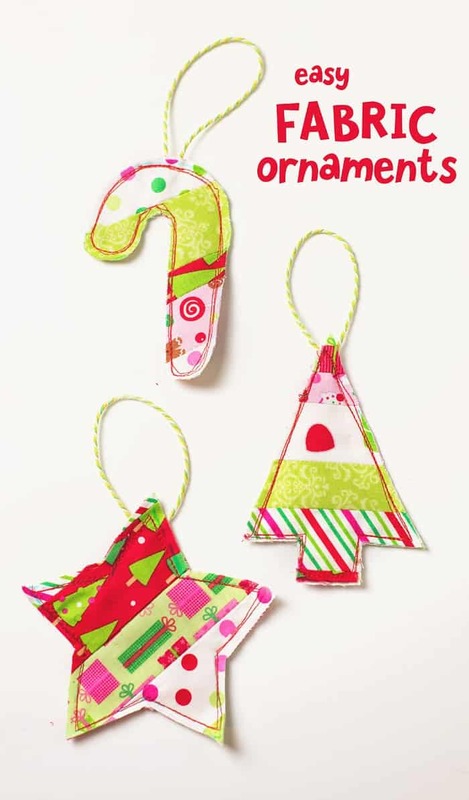 I have added the sentence “Stitch around the edge of the ornament.” to step 7.